People fall behind on their mortgages every day. In our latest post, we can help you learn how to stop the bank from foreclosing on your Greenville County house! Banks foreclose after multiple missed payments. This can happen to the very best people and for all sorts of reasons. Divorce, job or income loss, the death of a loved one, medical bills, and sudden illness are all common causes of missed payments. The last thing people need in any of these situations is to lose their house on top of everything else they are going through. If you are not able to repay the bank what you own, the bank will foreclose on the property and resell at auction in an effort to recoup their money. Can I Get My House Back Once Foreclosed? In South Carolina, there are no “redemption rights.” Once the hammer falls at the auction, the homeowners property rights are cut off forever. If you want to slow the foreclosure process there are ways to do so in judicial foreclosure states like South Carolina. We recommend you consult a real estate attorney who specializes in foreclosure. What You Can Do To Stop Foreclosure in Greenville County? By selling, you avoid the banks wrecking your credit. The damages to your credit can last seven to ten years. It becomes almost impossible to buy another home before that seven to ten year period ends. By selling, your credit lives to fight another day. Selling also relieves you of responsibility of ownership. Costly repairs and costs of ownership can now be used to find a suitable rental property until you can get back on your feet. You can try to find a buyer who can close quickly on your own, or you can call Nice Guys Buying Houses, who will always pay you a fair and honest price for your ]market_city] house. If you sell on your own, to a buyer using financing, the sale could end up taking weeks or months to be finalized, and by then, the bank may have already foreclosed. 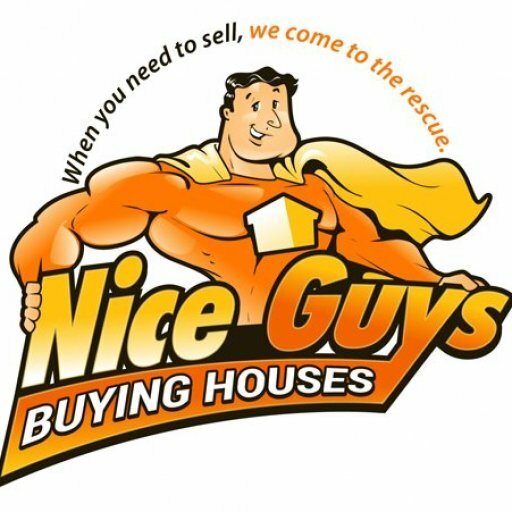 With a direct sale to Nice Guys Buying Houses, you will typically be able to sell your house in only a few short days. When you first realize you are having difficulties making your mortgage payment, give the bank a call first. They would rather work with you then deal with missed payments and costly foreclosure. Look into loan modification or changing the terms of your loan. You might be able to refinance and lower your payments. If you have missed a few payments, try to set up a payment plan to get back on track. Some lenders will agree to forbearance, forgiving the missed payment and adding it on to the end of your loan term. Before you do anything drastic, talk to the bank first. They are used to dealing with these situations and will likely have a solution to help you. If you file for bankruptcy, the lenders cannot attempt to collect payment until the court allows it. Make sure you choose the right type for your needs, Chapter 7 or Chapter 13, and that you have talked this through with an attorney. Filing for bankruptcy can have adverse effects on you and your credit for years to come. Seeking wise counsel from a good bankruptcy attorney is a must! Do you need to sell your Greenville County house before the bank forecloses? We can help! We are real estate solutions specialists designed to help you navigate the foreclosure situation. Why Won’t My House Sell In Greenville County? I Inherited a House, What To Do? – Should I Rent or Sell in Greenville County?